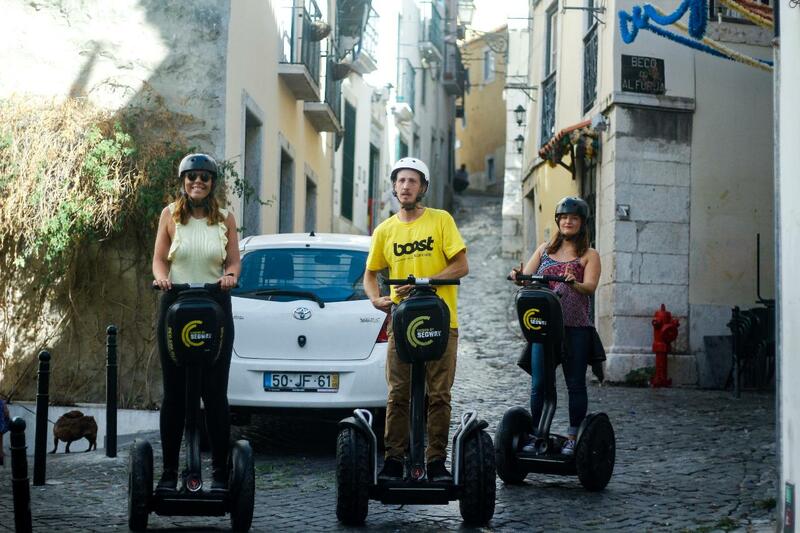 Segways may look impossible to ride as a bystander but, as soon as our tour guides spend 2 minutes with you, you’ll be gliding effortlessly along Lisbon’s difficult pavement. 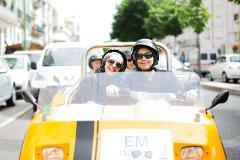 Glide effortlessly through the colorful and narrow streets with zero carbon emissions. This is the most exciting way of showing you the thrilling and vibrant history of Lisbon’s most authentic neighborhood. Alfama is a place full of memories where you can see and feel the presence of its Moorish past. The heritage is easy to identify in the architecture, the meandering streets and steep flights of steps, arcades, cozy squares and whitewashed houses. According to our experience, the stop elected as "the favorite" is at the National Pantheon, also known as St. Engratia Church. It’s a majestic baroque monument that took three centuries to build (from 1682 to 1966) and it is the resting place of the most important cultural and political figures in the country. Why is it so popular? Because the Pantheon is surrounded by colorful asymmetric houses that seem to belong to a picturesque movie set. It is perfect the perfect spot to rest, enjoy the sunlight and to take some really nice pictures. Leaving the Pantheon behind we’ll arrive at the famous Flea Market location (which takes place only at Tuesdays and Saturdays), a big area where you can visit the Santa Clara Market (a building from 1877) and a welcoming garden called Botto Machado that has a beautiful view over the river. 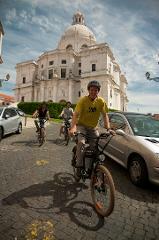 Another must see included in this Segway adventure is Mouraria, Lisbon’s most multiethnic neighborhood. Here you may find all types of restaurants because about a fifth of the population is from Asia, mainly from China, Bangladesh, India and Pakistan. Before the end of this tour we’ll take you to Lisbon Cathedral (Lisbon's oldest building), it would be a sin if you missed it! Alfama: Lisbon’s oldest neighborhood and the most charming one, it’s considered the historic soul of Lisbon and its steep, cobblestoned lanes stand just as they were in medieval times. Mouraria: The most multi-ethnic neighbourhood in the city where you find food from all over the world and one of the most beautiful tiled facades (Viúva de lamego - tiles and ceramics shop). Martim Moniz Square: Here you can find a street food market that has a special ingredient: cultural diversity. Here you have flavors from all around the world, represented by countries such as China, India, Mozambique, Bangladesh, India, Pakistan among others. See the past through new eyes.